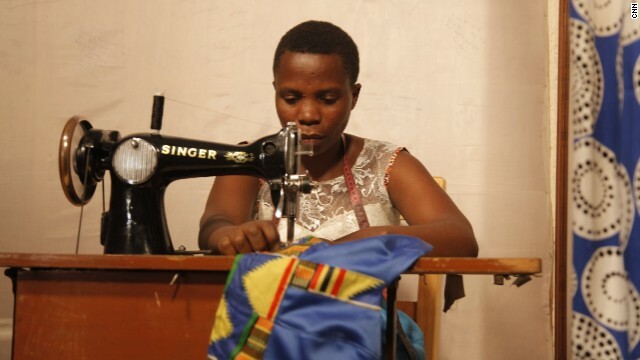 Christine Mbabzi started designing clothes in her bedroom in Rwanda. In March 2014 she made her dream of owning her own store a reality. 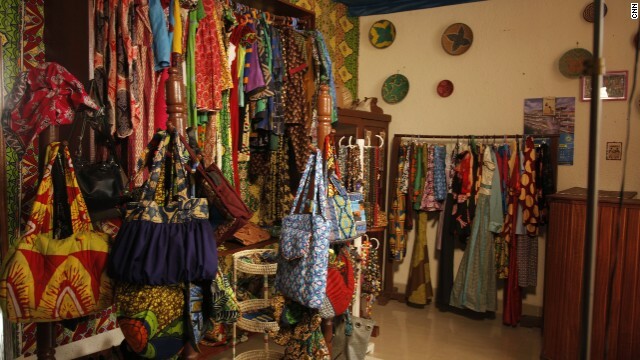 The store, located in Kigali, sells uniquely designed clothes, shoes and bags -- all handmade from African prints. Mama Ngawerie helps Mbabazi tailor clothes to customers' exact needs in a private area of the shop. 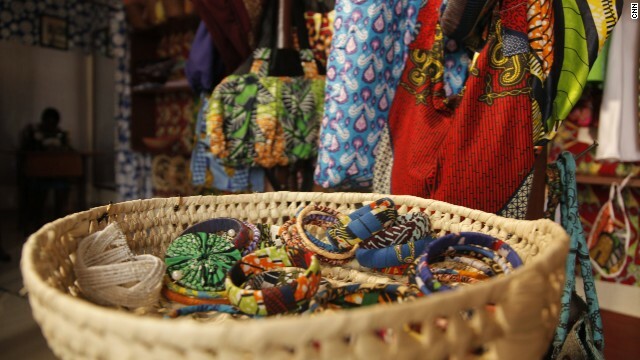 "We make bags with African designs, we make shoes with African fabrics, we make different designs of clothes, depending on what the customer is requiring," says Mbabazi. The young entrepreneur has big ambitions for her store. She says she wants to sell abroad and become a household name. Editor's note: Every week, African Start-Up follows entrepreneurs in various countries across the continent to see how they are working to make their business dreams become reality. (CNN) -- When Christine Mbabazi started designing clothes in her bedroom in the Rwandan capital of Kigali, she had big ambitions. Now the owner of her own store -- Christine Creative Collections -- she has even bigger plans: turning her fashion boutique into a household name. "The brand is promoting African fabric and African designs, with my creativity, and developing it to the rest of the world," says the young entrepreneur. Launched last March, Mbabazi's startup produces and sells a wide variety of eye-catching fashion items, including bags, shoes and clothes. Mbabazi says Rwanda is at the very heart of her brand, so every creation in her store is handmade with locally-sourced materials. It's still a big challenge convincing people you can go to work when you have a African fabric suit. "I love the African fabric," she says. "[Growing up] I liked looking unique, [so] I used to cut my clothes in different ways -- I used to change them, I used to sew with my hands. It all inspired me to come up with what I have today." Mbabazi, who is also a radio presenter, makes use of social media to reach new customers, but says she has found it difficult to convince people that traditional fabrics are acceptable in formal settings. "My friends saw me and saw I was very unique in parties, weddings, even at work -- that's how the word spread out. It's still a big challenge convincing people you can go to work when you have a African fabric suit but we are still fighting those small challenges." Her next step is to take the brand, which she calls CCC for short, out of Rwanda. "I want to be exporting things made in Rwanda," she says, "so that when you are in Europe and you see something, you're like this is from CCC." Find out more about Mbabazi's business and her creations in the video below.